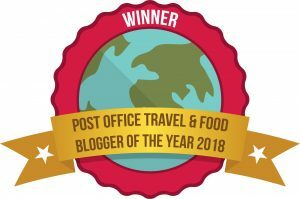 Valencia is Spain’s third city and just a two hour flight from London, making it ideal for a city break, whether you are after Winter sun, a dose of cultural experiences, are an architectural geek, want to indulge in Spanish gastronomy or just want a relaxing beach holiday – there is something for everyone! It is also a relatively reasonably priced city with accommodation ranging from fabulous hotels to serviced luxury apartments. We decided to stay in an apartment by a company called Valencia Luxury Apartments and had a lovely two bedroom apartment with a view from a terrace of dreams that was just incredible! 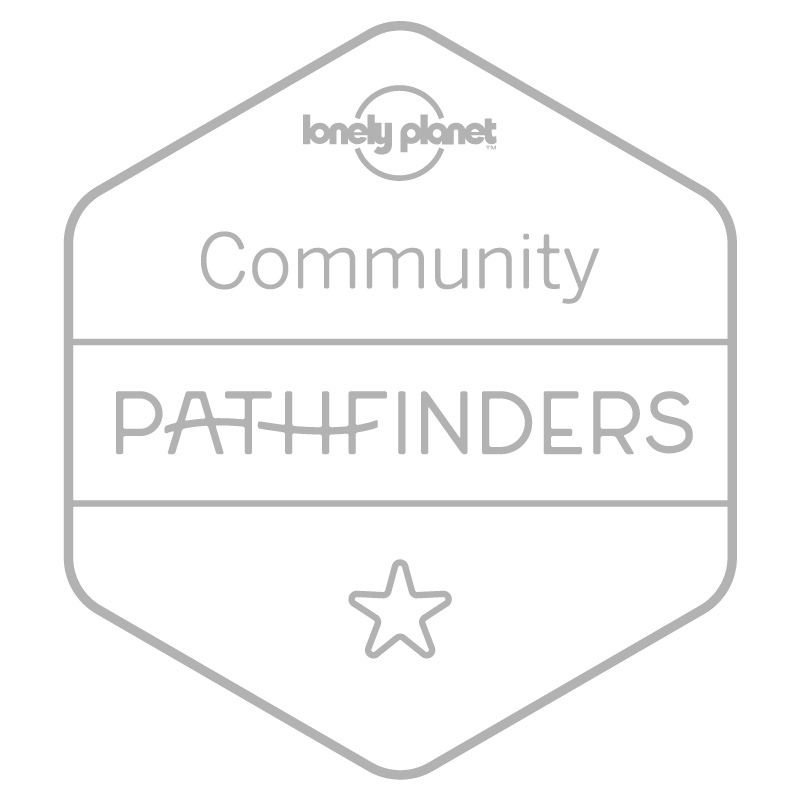 Highly recommend them if you are planning to visit Valencia. 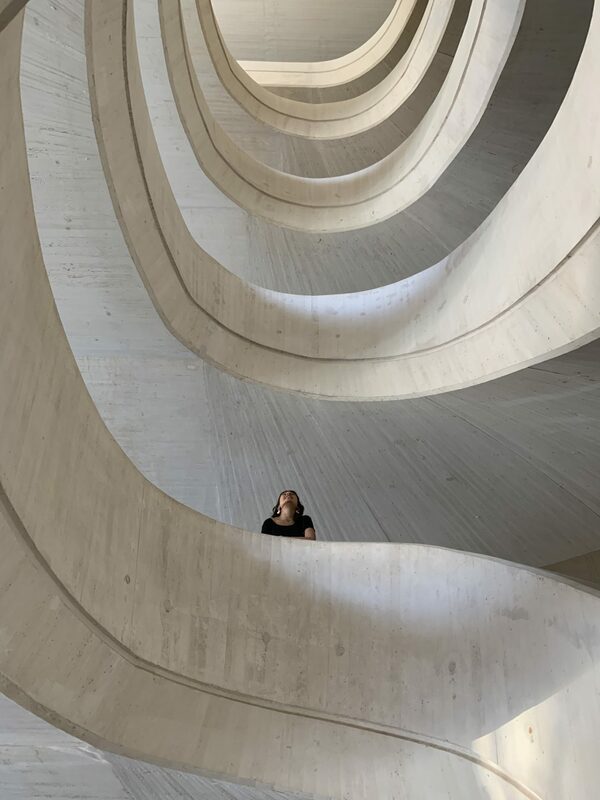 Designed by Santiago Calatrava and Félx Candela, The City of Arts and Sciences is an architecture lover’s playground filled with structural wonders in its sleek white complex. They range from a science museum, IMAX cinema and planetarium, opera house and marine park. 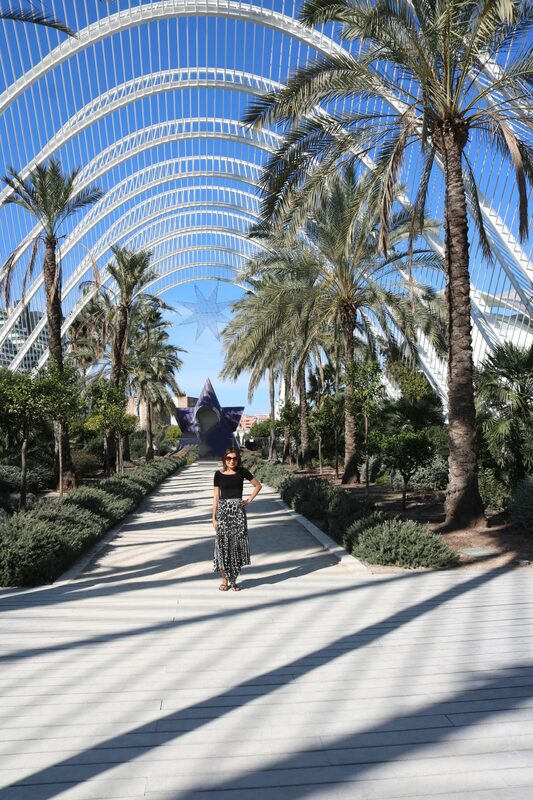 I particularly loved the Umbracle, a huge, open-access garden at the City of Arts and Sciences covering more than 17,000 m2 with lots of Mediterranean plants and contemporary sculptures! 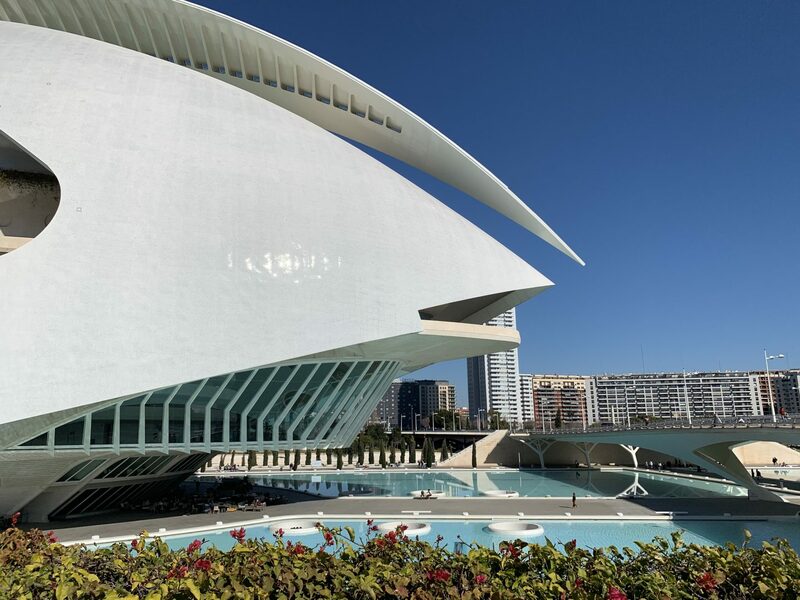 Highly recommend a guided tour of Palau de les Arts Reina, the Opera House too for a fascinating insight into the behind the scenes operations as well as the incredible architecture. 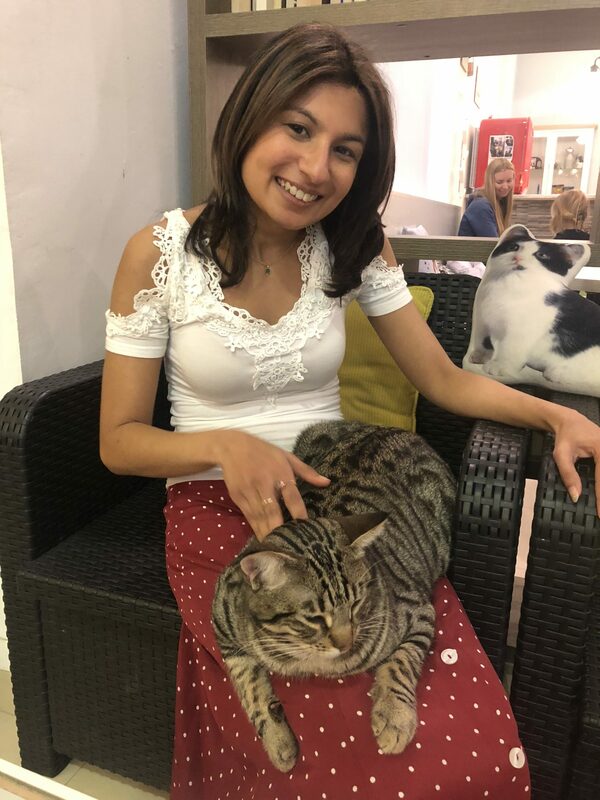 If you are a feline lover like me, a visit to the Cat café El passatge dels Gats is a must! The cafe is a collaboration with a rescue organisation called Adaana Association, to give abandoned and rescue cats a chance to be rehomed. The cats at the cafe are utterly adorable! 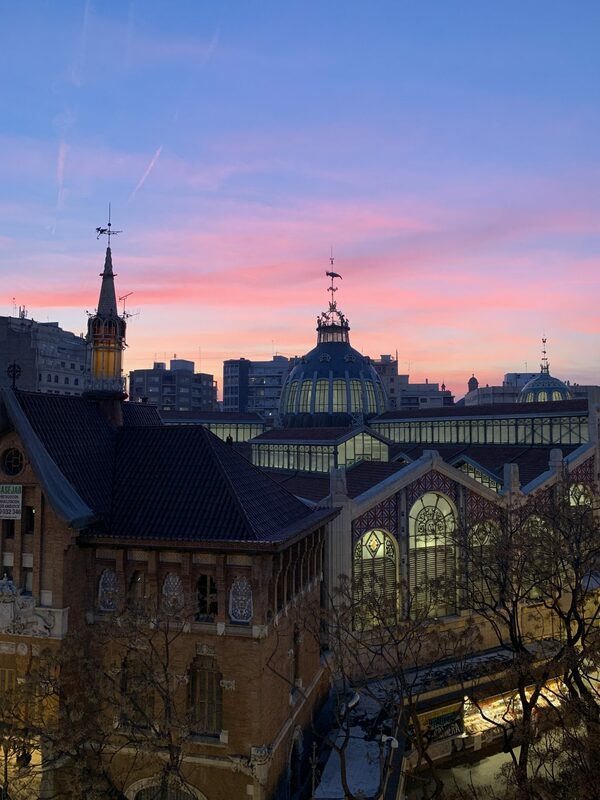 I absolutely adore visiting food markets around the world and the Mercado Central in Valencia, built in the 1920s, was luckily just a stone’s throw away from our apartment and is a real feast for the eyes. There are rows and rows of incredible stalls piled high with the most gorgeous fruits, vegetables, meats, cheeses, baked goods and seasonal produce. It is also a fantastic insight into the daily life of the Valencianos. 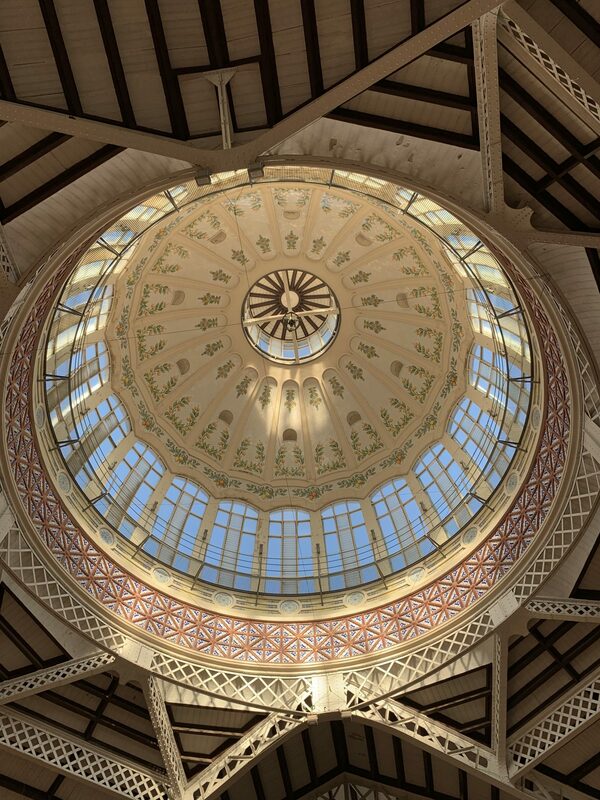 Be sure to look up to see the stunning stained glass and mosaics adorning the domes of the market. 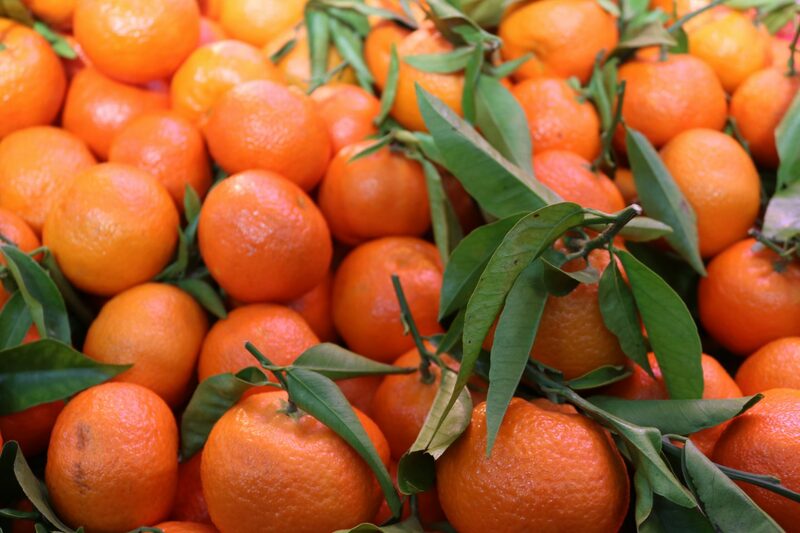 Valencia is known for its oranges and there is no place better to pick some up than the market! 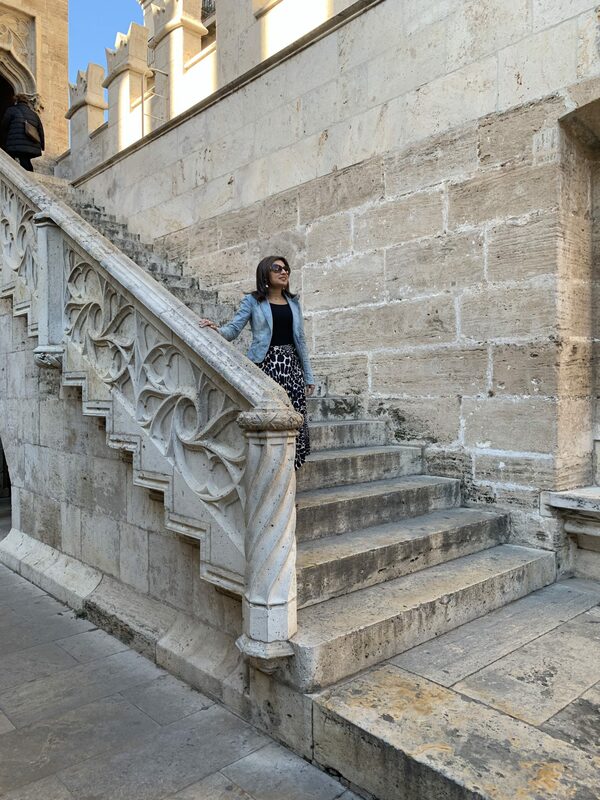 While in the area of the Central Market, walk across the road and visit La Lonja, the 15th-century silk exchange, where traders from far flung parts of the Mediterranean would meet and make deals. 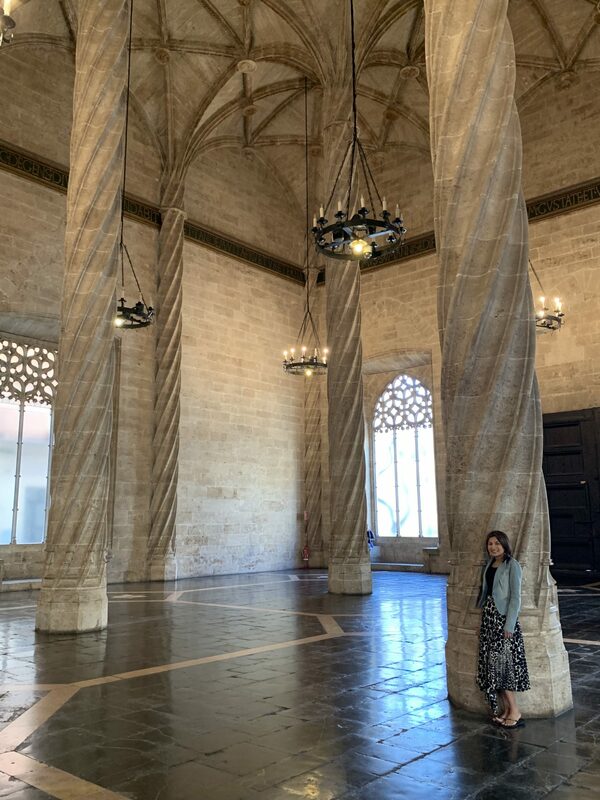 Inside you can marvel at the dainty twisting columns of the main hall (sala de contratación) and look up at the incredible detail of the vaulted ceilings, while outside there is a gorgeous courtyard lined with Orange and Lemon trees. 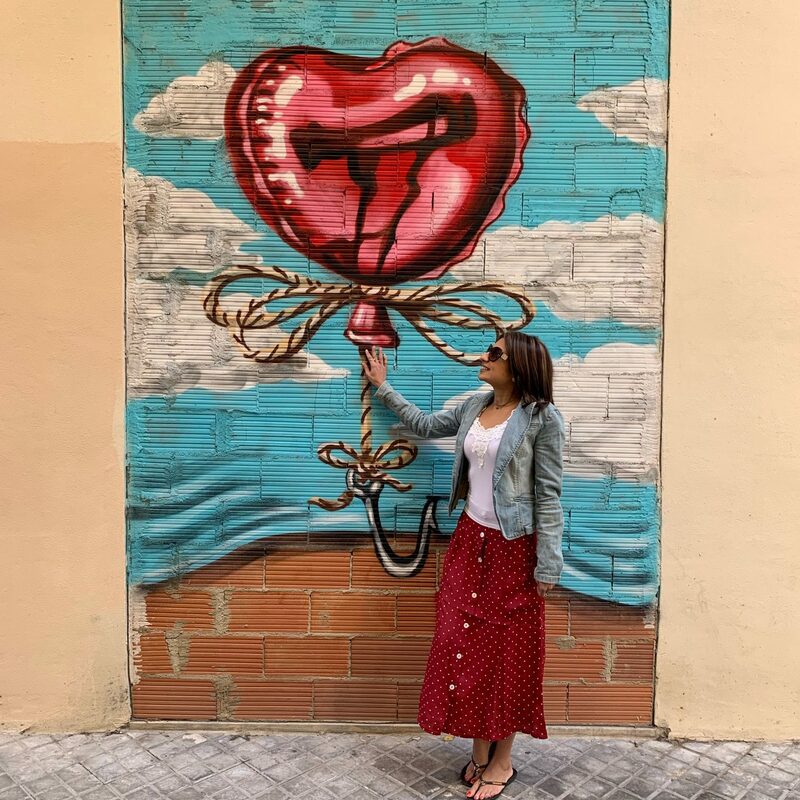 When wandering around Valencia you’ll notice the abundance of incredible street art everywhere! I particularly loved these, which we discovered a street away from the Central Market. 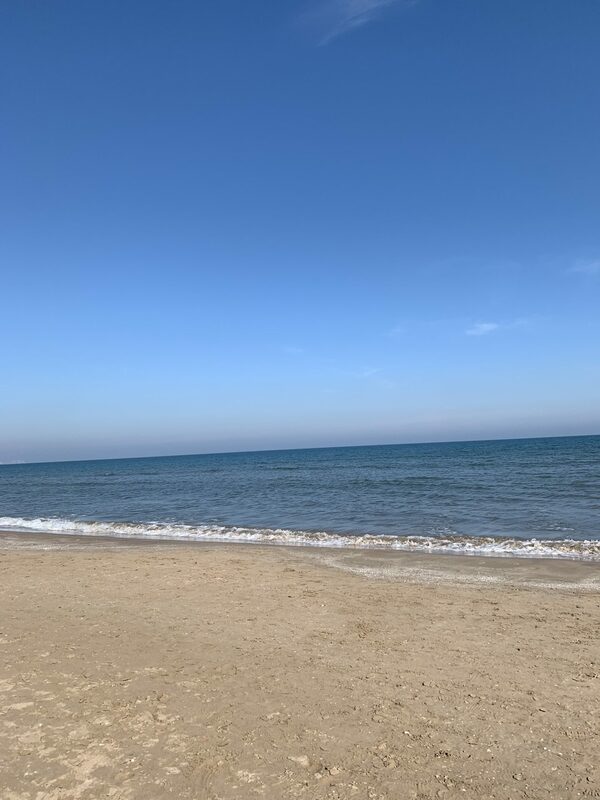 Malvarrosa Beach is fantastic to perch yourself for some sun and relaxation and there are fabulous restaurants and bars along the promenade next to the beach to have a chilled Sangria, Tapas or seafood. 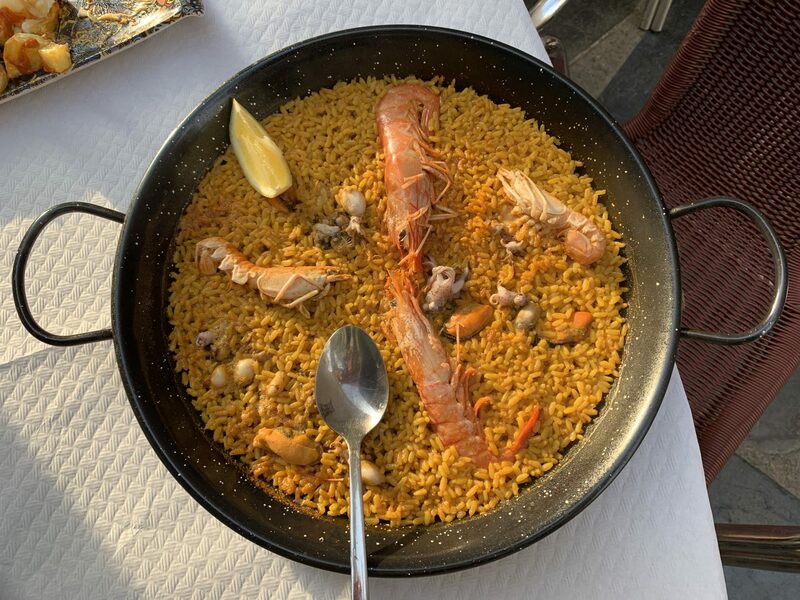 Paella originated in Valencia and so it is a dish that you must have when in this fabulous city. Variants include Chicken and Vegetables but nothing beats Seafood Paella for me! 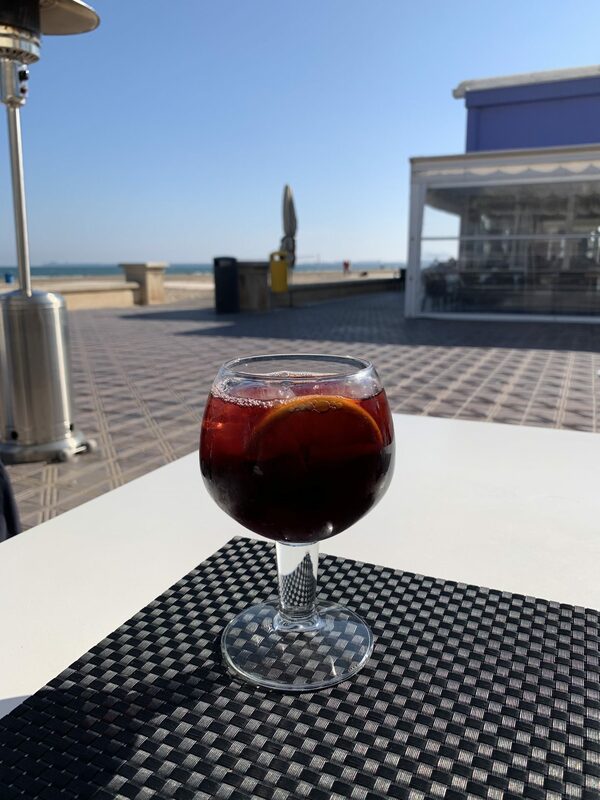 For me holidays in Spain are incomplete without a lovely glass (or a few) of Sangria and I loved enjoying this whilst people watching at Malvarrosa beach. 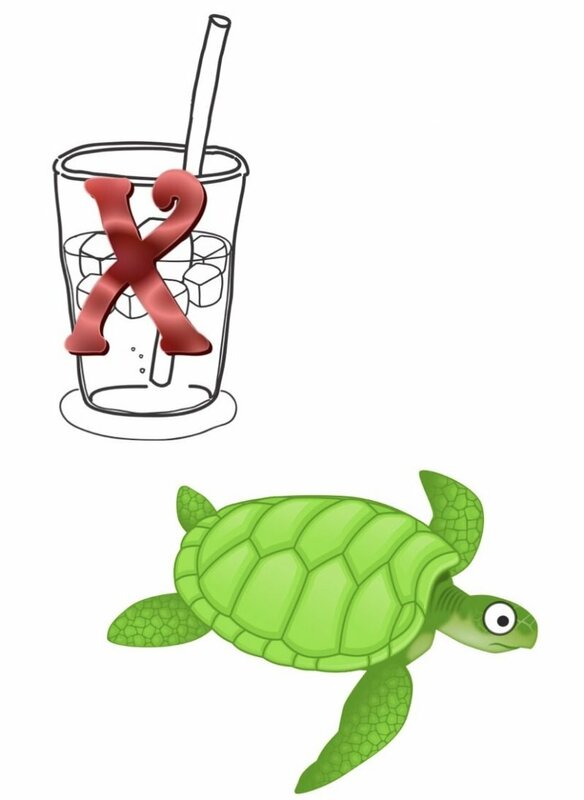 Horchata is a Valencian speciality of a milk drink made from the ‘chufa’ or tiger nut. 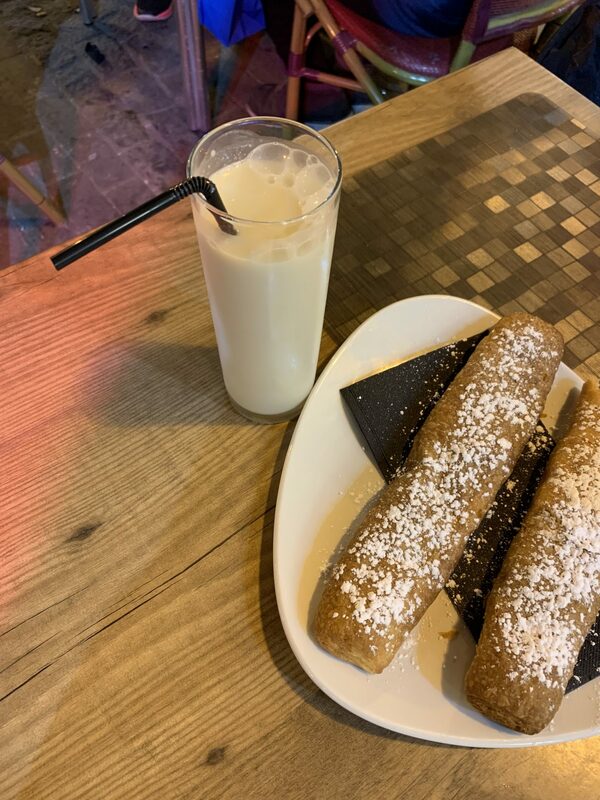 There are various Horchata cafes dotted around Valencia and the best way to have it is by dipping Fartons, another Valencian speciality, into them. Thanks to Bejal from Be-Lavie for the tip! 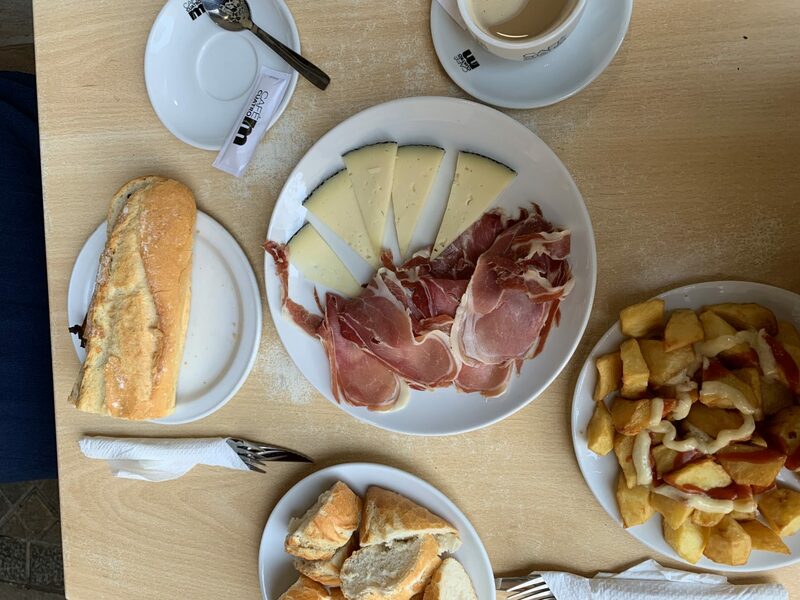 I adore Tapas and there is no where better to enjoy a feast than in Spain! There are so many lovely restaurants on various side streets in Valencia away from the Tourist areas and at incredibly reasonable prices too! 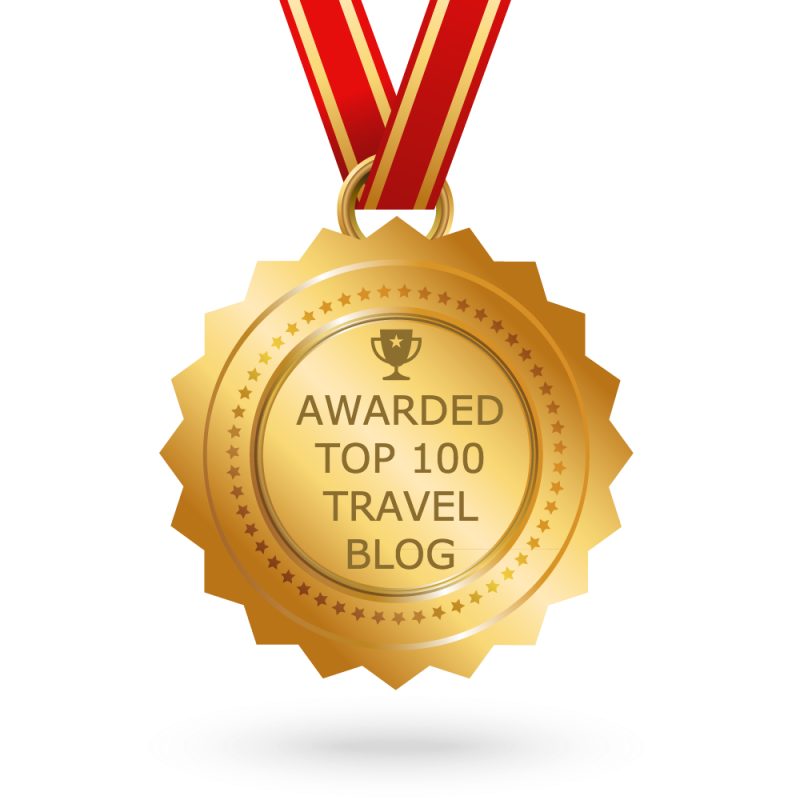 My favourites are always Patatas Bravas and Jamon with Manchego Cheese – heaven! Top Tip: Get an Uber whilst in Valencia and have a look at the virtual map of the car heading towards you. I won’t ruin it but you are in for a treat! 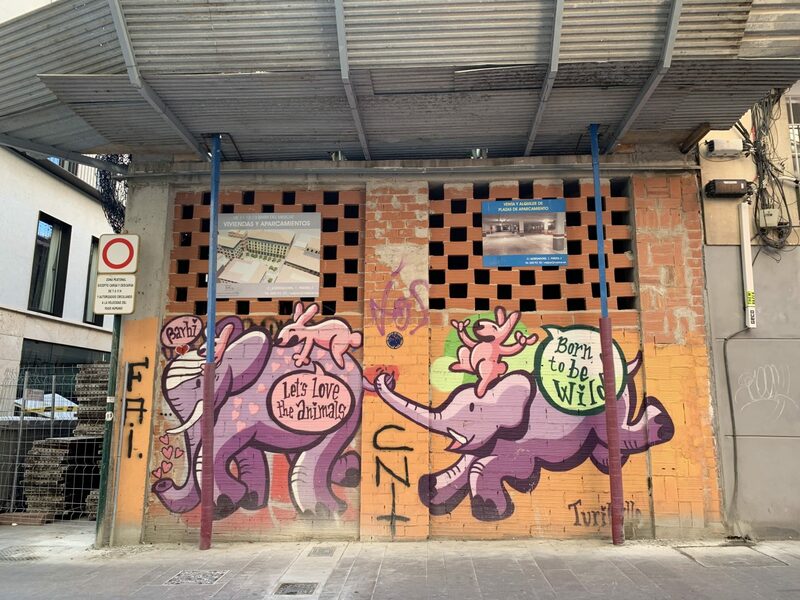 Have you been to Valencia? What were your highlights? It looks like you two had so much fun!! I have just been to Valencia for the day on a cruise, it was a beautiful city, such wonderful streets to stroll around! I’ve always been attracted to the idea of going to Valencia – possibly as it sounds a bit like my surname! – but never been. However, loving the sound of that food market, specialty tapas, and horchata, so guess I’d better get my skates on!..